My patch dedication has been pretty peerless recently – many early morning starts to ensure I can get as much in as possible before I am forced to drag myself to Canary Wharf. It is getting a bit tiring if I am honest, and so I had a quick look to see what patch year-list additions had occurred in November and December in previous years. What am I going out for? What am I going to add if history is any guide? It does not make pretty reading, at least not in the last four years. A big fat nothing. Zero. No new birds whatsoever added during the months of November and December. What about going out just for the pleasure of birding? Don't be daft, it is a numbers game isn't it? Surely it's the thought of new patch additions that fuels all local birders? So based on the above I might as well pack it in and start again next year. This would also help my hopes of lifting the prized Golden Mallard trophy in future years. This year The Proclaimers are waltzing it, having not bothered walking any miles at all during previous years - frankly this is the only winning strategy as it reduces your average to the point where come the first of January you can just poke your head of the window and immediately claim victory. So what if I go back a little further? Birds that are struck out are already on the list for this year, but it does indicate that there is at least some small amount of hope remaining. 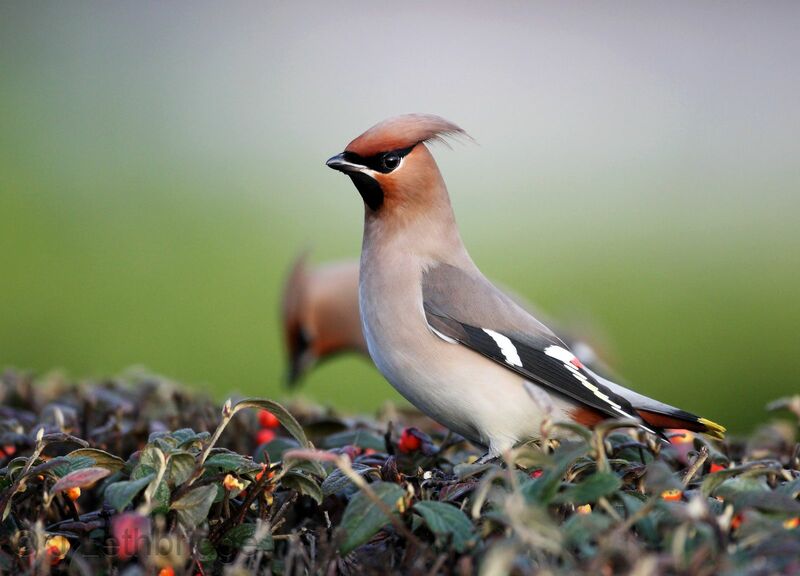 Waxwing would obviously need to be one of those years in which the UK sees an invasion, in 2012 for instance there was a decent winter irruption and I had a total of 27 birds seen from within the hallowed borders of Chateau L. If that happens again then there is definite potential. Woodcock should be straightforward - we have in the past had a regular bird with a regular pattern - plonk yourself in the appropriate spot at the appropriate time and tick away. If you are out early enough there is also the possibility of a bird being flushed by a dog and giving you a crushing flyby whilst your camera flops uselessly at your side and your jaw hangs open. Oystercatcher was a one off, a ridiculous record in the context of Wanstead. A bird had come down on the playing fields in foggy conditions in mid November, departing calling its head off whilst I was close by. It could happen again I suppose, indeed Tim had a night flyover whilst attending his moth trap if I recall, but I am certainly not going to count on it. Yellowhammer likewise, there is an outside chance but I will have to be lucky - the guys got one a few weeks ago so that may have been the autumn movement. As for any other possibilities, full fat patch ticks, well that is anyone's guess. Winter Grey Geese or wild Swans? Hume's Warbler? Desert Wheatear? Excuse me whilst I go and have a lie down. Crossbill is also a possibility, albeit that it would not be a patch tick.